I think my favorite part of the Holiday Gifts Picks I posted in December was how many talented artists I discovered. It was great to be exposed to a new cross section of American handcrafters, which included Natalie Davis in Austin, Texas. Artist and designer, Leah Duncan picked Natalie's leather coasters as one of her favorite holiday gifts and after checking out her site, I was smitten too. 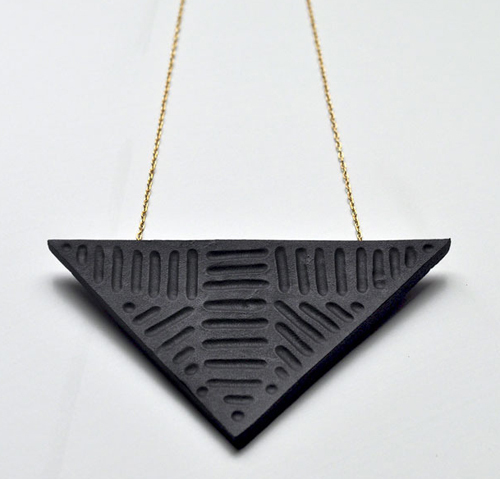 Natalie expertly crafts modern leather goods that are "tooled, carved, burned and hand-dyed." Her leather trays quickly caught my eye as they have a beautiful richness to them as well as a charming, minimal design. What I like about Natalie's goods is how she updates the standard items like a key chain or napkin ring. 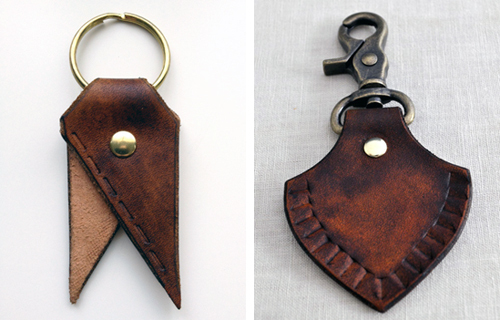 I've never really had a key chain or a desire for one, but after looking at all the pretty leather shapes in her shop, I really want one. Natalie is an artist to bookmark and check in with from time to time. I look forward to seeing what she comes up with next. No doubt it'll be something that exudes excellent taste and quality- and something that I'll want. Peruse her entire Texan based shop called, Canoe, here.